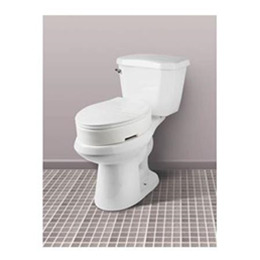 The elongated hinged toilet seat elevator adds 3 1/2" to the height of any elongated toilet. 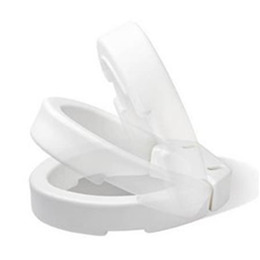 It easily fits your existing elongated toilet seat and lifts easily to remove or for cleaning. 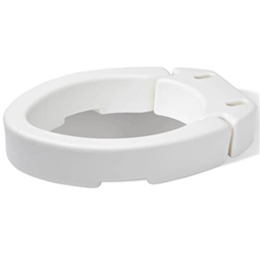 The Hinged Toilet Seat Riser installs safety and quickly between your toilet bowl and the existing seat. The addition of 3.5 inches of height makes it easier for individuals with mobility difficulties to sit & stand. Designed for easy cleaning, it fits most elongated toilet seats.